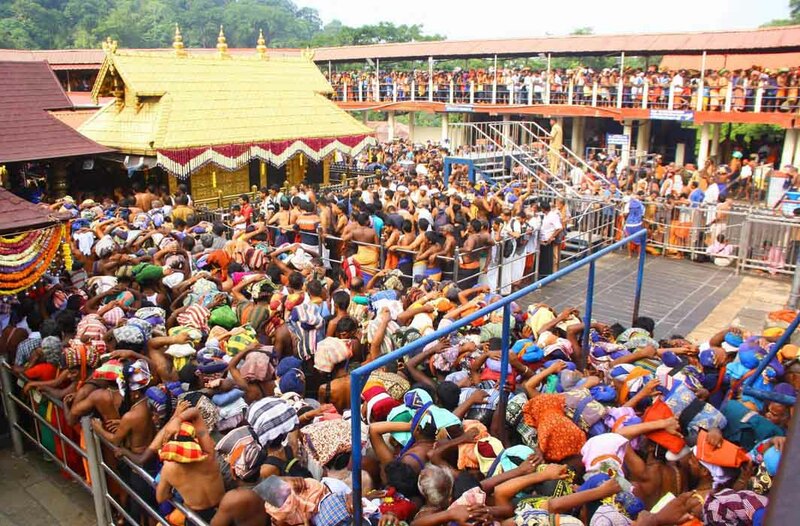 With the Lord Ayyappa temple in Sabarimala opening late on Tuesday for the five-day long monthly pujas, the Kerala police have sought a ban on the assembly of more than four people. The police have sought the imposition of restrictions as the pro and anti women’s entry women groups have both publicly announced their determination to back their respective stands: the former have said more women will be going to the temple during the five days while the Hindu outfits has reiterated its plan to block women of menstruating age from entering the shrine. They have been opposing the September 28 SC Verdict that allowed women of all ages to enter and pray at the temple. On New Years day, two women, Bindu and Kanakadurga made history by becoming the first women of menstruating age to enter the temple. Since then, a few more women have gone to the temple with utmost police protection. Last week, the apex court reserved its verdict on Sabarimala review pleas after a five-judge bench heard the matter for over four hours. The court said it would pronounce its order as to whether to review the judgment or not. This was after a constitution bench headed by Chief Justice Ranjan Gogoi started hearing a batch of 65 review petitions and 4 writ petitions opposing the entry of women into the temple as allowed by the apex court in its September 28 landmark judgment. Then, a five-judge bench led by ex-Chief Justice of India Dipak Misra passed the order which has led to violence in large parts of Kerala as pro and anti womens entry repeatedly clashed.